Can't stop crying, after one day of happiness and bliss it looks like the dream is over for me. After having a vvvvvvv faint positive of Friday night, I got my BFP on Sunday morning, although faint it was definitely there! I tested Sunday evening and it was as dark as the control line, got really excited as HCG levels must have increased! Woke up this morning and tested again and the line was barely there again! So I phoned up the docs he did a pregnancy test there and it was BFN, so had blood taken to wait for HCG results from that! As I'm a gluten for punishment tested 1 more time - not even a hint of a line! Very confused because had no bleeding either! Have I had a chemical pregnancy? 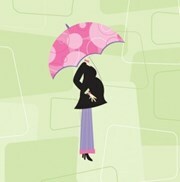 Life is so cruel, yesterday we were so over the moon we even went out especially to buy the pregnancy bible! I just feel like my body has let me down once again. oooh i'm so so sorry to hear that wannabeamummy. it sounds like a chemical pregnancy in which case you'll get af at some point. It does sound like a chemical pregnancy from what I've read about them. oh no how awlful, you must be so upset. I am no expert but it sounds like a checmical one ... I had a MC and had bleeding but I could be wrong. So sorry to hear this hun, sending you big hugs, life is so crap sometimes and I hope you get a BFP next time hun. So sorry honey, how terrible. I hope you get a big fat sticky BFP soon. Thank you for all of your hugs and thoughts, I really appreciate it x going in to work tomorrow, lets hope I can get through more than half a day without hysteria!